J-Ball Electronics has customers around the world. Let us know about your experience with our reconditioned, refurbished or reprogrammed J-Ball Electronics ECM. Email info@jballelectronics.com to have your two cents added here. Thank you for doing the upgrade on the Cat C13 ECM in my 2008 Country Coach Motorhome. There is a remarkable increase in fuel mileage, from 5.1 MPG to 7.3 MPG (US), also a significant increase in power. I haul loaded grain trains from Alberta and head back empty. Since your tune I’ve picked up 7-10km/h on all the hills up to a 8-9% grade and fuel economy is climbing up into the mid 6’s. One round trip I saved $185, at this rate I’ll pay for the tune in no time. 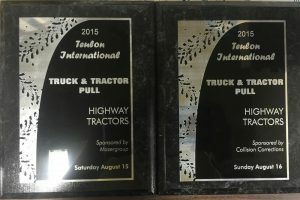 Thank you for making trucking fun again! Just wanted to email you guys to thank you. I had the programming done on my 08 Caterpillar C 15 and the results were incredible. 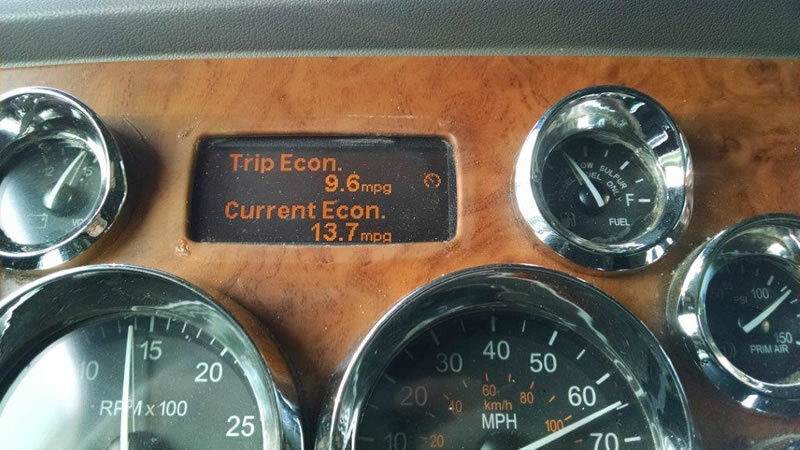 The truck stopped breaking down with regen issues, the performance increased and mileage went from 5.3 to 6.4 miles to the gallon. 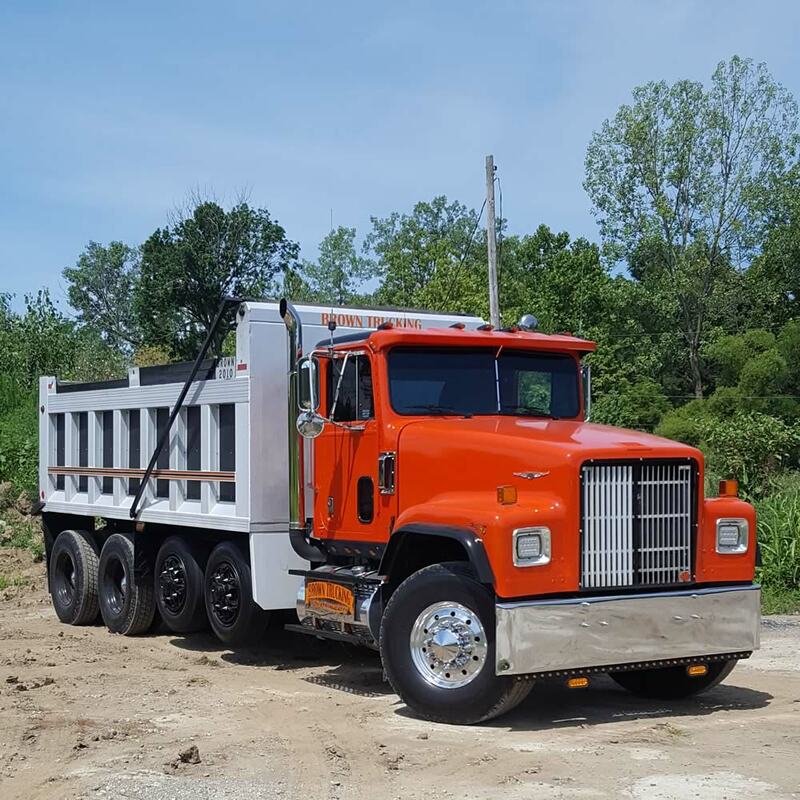 I know it sounds unbelievable but it’s true, the truck runs so much better and the best part is it paid for itself in fuel savings within the first three months. I was actually thinking about getting out of the business because all of my motor problems. I did the reprogram two years ago and it changed everything, thanks again for a great product! I’m running with the big 500’s! You all did my computer on my 3176b, everything works great. I am getting around 8 ta 13 mph and that little 300 cat hangs right with the big 500’s. I cant out run them but they can’t leave me behind neither. I damn near can out pull’em on hills… Still looking to maybe swap it out for a c-12 and you will be my first call for sure, cant wait to see what you can do with that!! I bought a used KW T660 and first thing I did was J-Ball tuning. The sound, the feel, everything is 110% better on this truck. Went from 450 HP to 550HP. Took 78K lbs from SLC, UT to Midwest I got 7.5 mpg average and thru the 8% grades on i-80 truck was pulling at 40-45mph with almost 80k lbs. Awesome tuning guys. We got that ECM late Friday and put it in Saturday morning right before the pull. Totally changed the truck. Here is a pic of the plaques it got, first place both days. There was 6-7 trucks in the class both days, one was a purpose built pulling truck with a mechanical Cat running propane injection, Sunday that truck pulled 360 feet, our Pete with your ECM pulled 472 feet. My name is Robert and I own a 2009 386 Pete with a Cummins powerplant. I sent you a pic of my onboard readout so you can see how well your tuning is working for me, thanks so much again! Is that for real? What is your GVW? How can it be 9 MPGs? Like I said, seeing is believing, that’s what my onboard info center is showing me! And my fuel bill never goes over $1,000 any more unless I’m continuously in the mountains. Just drove back roads for 88 miles from Lancaster NY to north east PA and here is my current fuel economy. 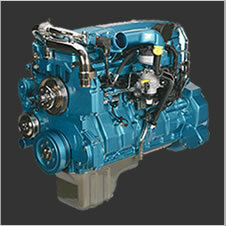 All the customers that we have done the tuning for have been very happy and having much better performing trucks. Fuel mileage is up on all of them as well. Thanks for providing good products and service. We are pleased to inform that our customers are very happy with the performance and fuel economy of their trucks. We enjoy having the opportunity to help our customers. Thanks a bunch for your help! We wanted to thank you for helping fix an engine that your competition tuned for us that resulted in us not only getting worse power… but the tune created a Miles Per Gallon total of 1MPG? We were about to have the truck parted out because no one could help us with the power or fuel economy. 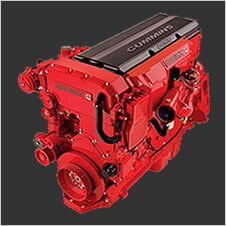 We found you through word of mouth and when you returned our ISX CM871 series engine, we were very impressed with the engine and turbo (34lbs PSI) performance. Not only did the engine run great but we now get an unimaginable 8MPG! Letting you know my Cat is still running well. I have 1,140,000 miles on the engine and have never overhauled it. I can’t see much difference in the power but there is more response and the engine runs easier with better fuel mileage. 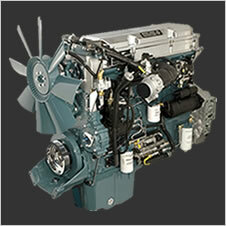 Good upgrade from 435 to 550 hp. Very happy with the power, the ECM was money well spent. 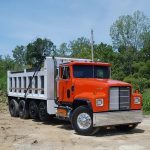 I was driving our retuned ISX trucks following one of our stock C15 kenworths, we came to a large hill on the highway and both of us put the hammer down. The Cat powered truck stopped gaining speed at 73 mph and the retuned ISX truck I was driving kept on pulling, I let off at 85 mph only because I was catching up to the other truck too quickly. We were both empty. Loaded we pulled another hill, starting at the same speed and the Cat truck lost 7 mph while the retuned ISX only lost 2 mph. Definitely a huge improvement! The way your tuning is better than the competition and it far and away out performs the truck I had done by one of your competitors. The truck pulls like a freight train and my mileage went up almost 2 mpgs!! From 3.5 MPG to 9.2 MPG! I’m very pleased with this new ECM I recently purchased. My truck runs great with very good power and torque. Here is a look at my new fuel mileage. My mileage before this change was 3.5MPG – terrible! 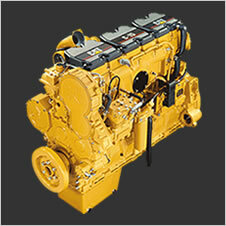 I need an ECM for my cat 3126b, 8YL76938, it has Allison auto trans with 189000 on it. We put the new ECM in tonight and WOW the truck sounds and runs way better. I do thank you very much for the quick service and help. I was wondering If you could tell me if the ECM was going bad or not when I send it back? I do know now that the truck is quieter and runs like a new truck. I definitely made a good decision doing the ECM. It has some get up and go… instead of get up and go slow. It seems it will be a pleasure to drive now instead of someone dreading to take it out. I was a bit skeptical on how much a difference it would make, but I am very impressed now. I have recently had a conversation with Gary C. who I believe lives in Indiana. He was very enthusiastically letting me know about your work with ECM’s, in particular the one on his 97 pete. 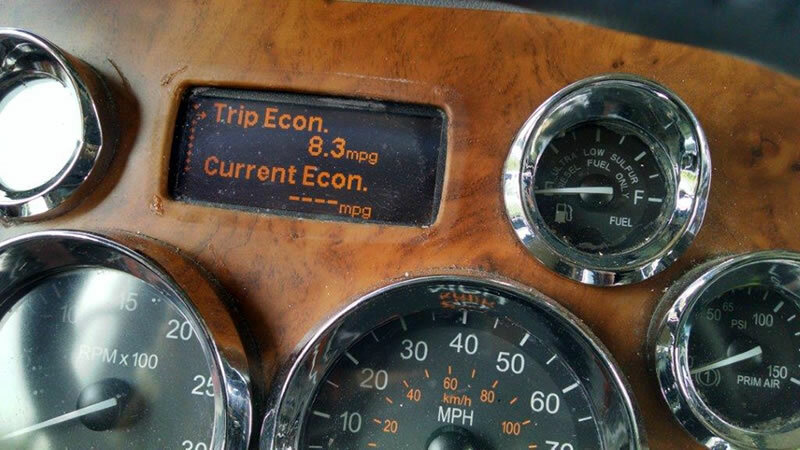 He says it brought his mpg from 5.9 to 6.9. Please contact me on my cell at your convenience. We have 18 trucks. Well I have had the ECM on the truck for over a week now and all I have to say is holly crap, what a big jump. I was making 3.5 – 3.6 in fuel miles and dogging down the road, now she runs out good can’t believe the power difference. As for the fuel, I jumped to a 4.733 and today made 4.912 there was no wind today, but it stays around the 4.7 to 4.9 so thank you. At first i thought this isn’t going to work but it has and you were up front with me so thank you again. I’m looking at two more trucks to buy so I’ll be calling you again – thanks. Hi Don, I am very happy with the ECM on my N-14 cummins. I have no more problems with fault codes, and the truck is running smoother than ever. I tell everyone I know about your services, thanks again.